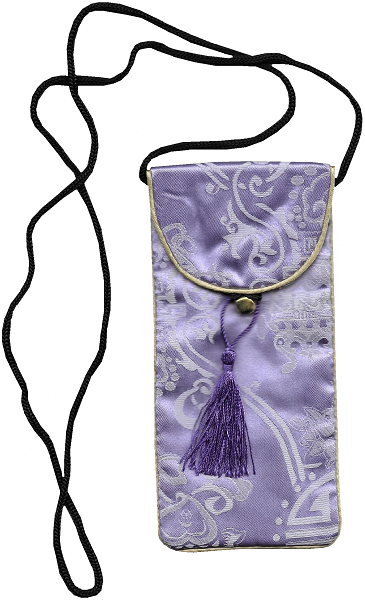 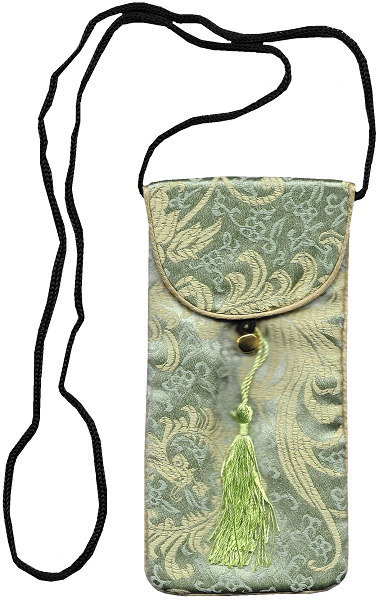 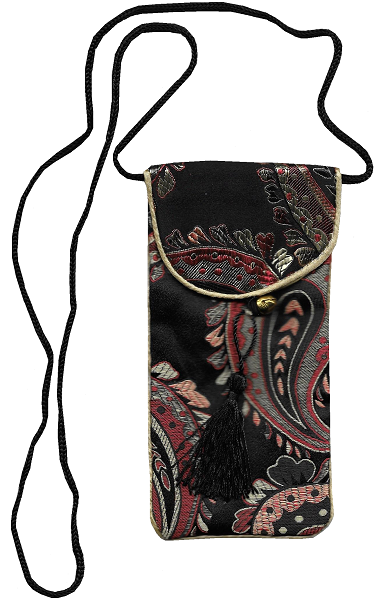 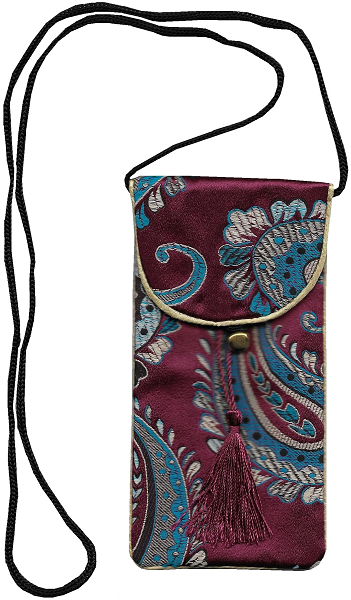 Chinese style phone pouch with a decorative knotted lucky tassel. 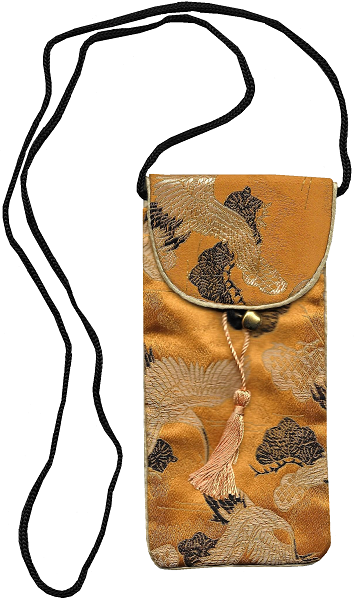 Dark orange in colour, the silk brocade phone pouch is adorned with Chinese cranes and pine cone trees. 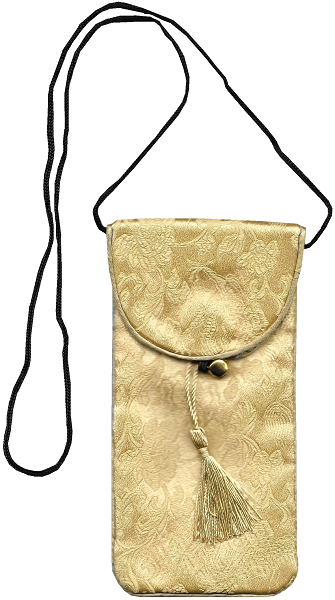 The pouch has a carrying strap, and will hold most sizes of mobile phone. 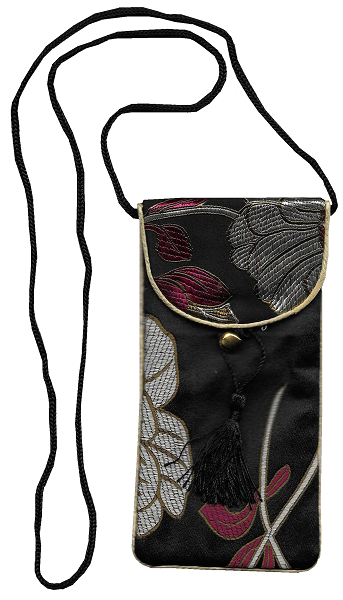 This pouch is also ideal for storing money, jewellery, and other small valuables.